A few friends. A warm summer night. All food can be made ahead! Some of which get better with age (panzanella that would be you). A surprise of mint instead of basil on the corn. Improvise with the berries, but ice cream alongside would be a must. 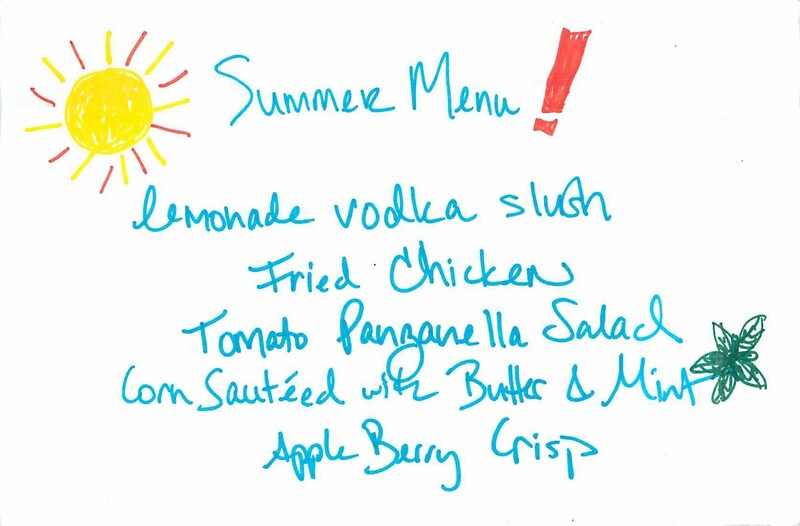 Next Next post: Menu 3 – Beach Day Picnic!